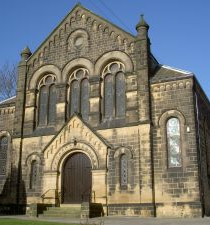 Baildon Methodist Church is an excellent venue for a Church Wedding. You could even combine the wedding with a post wedding celebration in Wesleys Hall [seats up to 100] with catering supplied by Wesleys Catering. (Please note that the serving of alcohol is not currently permitted on Methodist premises). Your first step is to approach our Ministerial Team (0845 6060820). In addition and as part of the legal process, prospective marriage partners will need to pay a visit to the local registry office. People wanting to marry in church don’t have to be members of the church, but most ministers will ask them why they wish to marry in church. A church marriage is a solemn Christian ceremony, with prayers and Bible readings reflecting Christian understandings of what marriage is about. Most ministers will look for a genuine desire on the part of a couple to take their marriage seriously along the lines set out in the service. 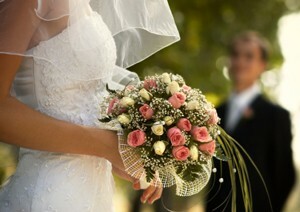 Discussing what this means in practice will be part of the marriage preparation. Many marriages in Methodist churches (and many couples marrying in Methodist churches) include people from different Christian denominations. Where two people from different church traditions marry, it is quite common for ministers from both churches to take part in the ceremony. This is welcomed. Sometimes, people from different faiths marry – and there is advice available for such marriages. 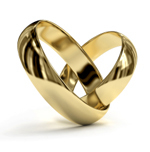 The rules and laws relating to divorce are not made by the Church but by the State. In general, the Methodist Church is willing to marry people who have been divorced, while their previous spouse is still alive, as long as there are not major obvious reasons why it would be inappropriate to do so. The best advice is to speak to one of the Ministers.